Welcome back. Four years ago, I ended up in the emergency room. My medical problem wasn’t life-threatening, though we didn’t know that before I got there. 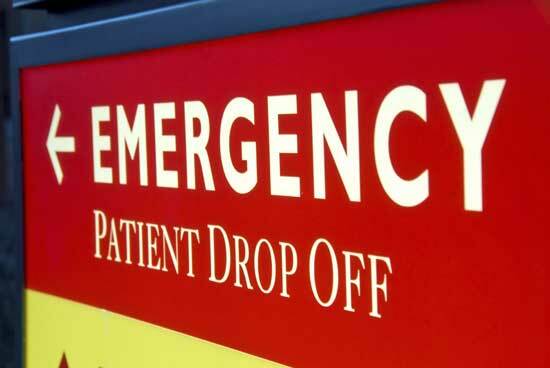 Since the emergency department charges were new and different, I had no way of knowing if they were out of line with my usual internal medicine charges from the same medical facility. I bring up this price comparison because that was the focus of a recent nationwide study from Johns Hopkins University. The researchers found emergency department charges were not only higher but that uninsured patients were often billed the chargemaster prices. Like most people outside of the medical profession and possibly many within it, I first learned about chargemaster (aka charge master) from Steven Brill’s article in a 2013 issue of TIME magazine. Every hospital has its own chargemaster, which is a comprehensive list of items and prices--from supplies to pharmaceuticals to procedures--that the hospital can bill patients or insurance. The prices serve as a starting or anchoring point for negotiations and tend to be high, well above the hospital’s actual cost. According to a 2016 Pepperdine Law Review paper by George Nation III, professor of law and business at Lehigh University, hospital administrators frequently argue that the high prices don’t matter because no one really pays chargemaster prices. Nation refutes that, pointing out that chargemaster prices constantly increase, creating upward pressure on pricing throughout the healthcare marketplace. He also notes that many hospitals refuse to reduce their chargemaster prices for self-pay patients. The Johns Hopkins University researchers analyzed Medicare billing records from the year 2013. The records were for 12,337 emergency medicine physicians from 2707 hospitals and 57,607 internal medicine physicians from 3669 hospitals in all 50 states. 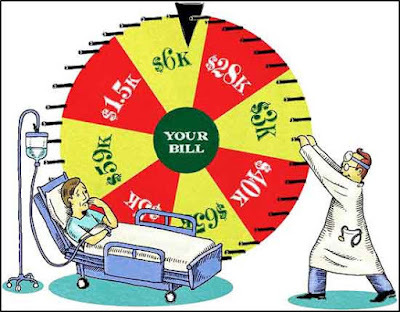 They determined the markup ratios of how much hospital departments billed for services divided by the Medicare allowable amount, which includes the deductible and coinsurance, what Medicare pays and the amount the patient or other third party pays. If, for example, the Medicare allowable amount was $100 and the hospital charged $200 or 100% above the allowable amount, the markup would be $200/$100 or 2.0. The markup ratios for emergency departments varied from 1.0 to 12.6 and averaged 4.4 or 340% above the Medicare allowable amount. The markup ratios for internal medicine departments varied from 1.0 to 14.1 and averaged 2.1 or 110% above the Medicare allowable amount. The highest emergency department markups were associated with for-profit hospitals. Based on census records, the highest markups were likely charged to minorities and uninsured patients. The researchers showed that, across hospitals, there was wide variation in excess charges for emergency department services, which were often priced higher than internal medicine services for the same services. They call for legislation to protect uninsured as well as out-of-network patients, noting that several states have passed some legislation to protect uninsured patients from paying chargemaster prices. Perhaps it will all be addressed by the new and improved Trumpcare. Thanks for stopping by.